2 itineraries offered by the operators of the Golden Chariot train covers some of the most prominent tourist destinations in 3 South Indian states – Karnataka, Tamil Nadu and Kerala – along with the Union Territory of Pondicherry. Detail of the attractions included in the destinations covered during the luxury train tour along with a brief introduction to acquaint you with the history and significance of the destinations are mentioned below. 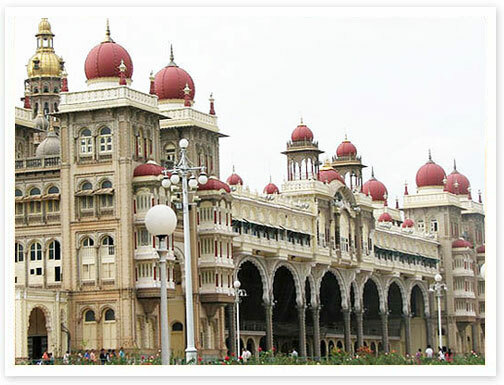 The capital city of Karnataka, Bangalore is a melting point of traditions and modernity. While on one hand it is known as the Silicon Valley of India, it, on the other hand also boasts of a colorful historical past remnants of which can still be seen throughout the city. Bangalore is located on the Deccan Plateau and flaunts a tropical climate with wet and dry seasons. Bangalore is one of the best cosmopolitan cities in India and the capital city of the state of Karnataka. It is one of the very popular destinations in the country and guests visiting South India definitely make it a point to visit Bangalore to explore its various tourist attractions. Bangalore was founded by Kempe Gouda I in the year 1537. However, traces of the inhabitants living here hint towards the fact that people have been living here since ages. The different dynasties that ruled over this place have left behind several monumental wonders feast and marvel at their originality and vision. Although the present name of this city is Bengaluru, it is nevertheless still popular by its previous name. Mysore is the second largest city in the state of Karnataka and located just about 150 km from the capital city of Bangalore. The history of Mysore can be traced back to the ancient times when it was under the rule of the demon king, Mahishasura. It is after the name of the king Mahishasura that the city has come to be known by, although there have been several alterations and revisions regarding the same. Mysore is more fondly known as the cultural capital of Karnataka, owing to the number of culture centers and art marvels that are scattered across the place. 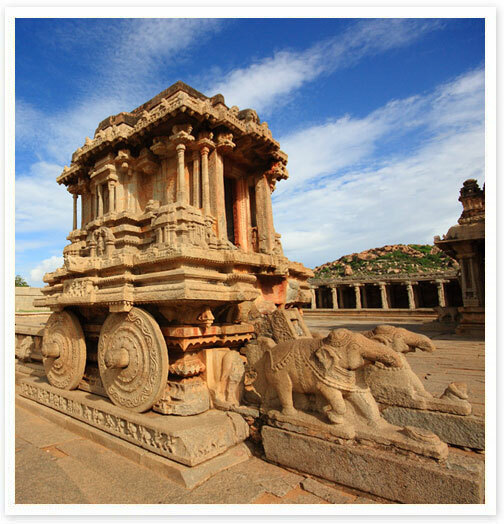 Guests interested in learning about the architectural heritage of India could never afford to miss a trip to Hampi in Karnataka. Located in the northern part of the state, Hampi is a small village that once housed the capital of the erstwhile Vijayanagara Empire. Today it houses the magnificent ruins of the yesteryears and the Virupaksha temple is the most popular and the most sacred religious site in the place. There are a number of religious places scattered all over Hampi and devotees and visitors alike, fill it up all through the day. The Hindu temples housed here are brilliant examples of architectural excellence and though in ruins, they nevertheless manage to amaze the onlookers. Some of the most popular sites housed here are Virupaksha temple, Tiruvengalanatha temple, Anjeyanadri Hills, Ugra Narasimha, Vittala temple, Zenana enclosure and even the archaeological museum in Kamalapura. Halebidu and Belur are famous temple destinations in the country, located in Karnataka. Belur is visited by thousands of devotees and visitors throughout the year who come here to offer their prayers as well as marvel at the architectural brilliance of the temples. Owing to this fact, the town is fondly referred to as the Southern Benaras. 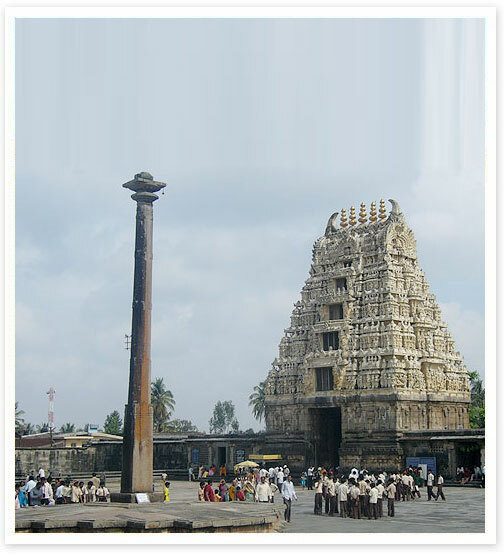 Belur is an ancient town, its origination dating back to the Hoysala rule during the eleventh and twelfth centuries. Belur, together with the city of Halebidu, offers itself as a fantastic tourist spot, both for religious tourists as well as the leisure tourists. The vast numbers of Hindu temples that are housed within this city are tranquil places to sit in solace and be one with God. Depicting primarily the elegance and styles of the Hoysala Empire, the temples in Belur are unique and unparallel in the country. The Chennakesava temple and the Veeranarayana temple are the most popular ones to name. Kabini is a popular tourist destination in Karnataka and a foremost destination offering abundant wildlife in the country. 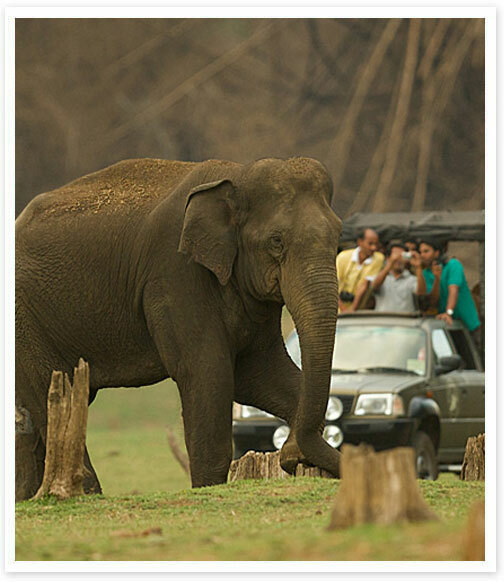 Located at about 80 km from the city of Mysore, Kabini is a lush green habitat for the animals, especially Elephants. Besides elephants, the Kabini Wildlife Sanctuary is also home to a large variety of birds and deer too. So if you were looking forward to a wildlife holiday here in Karnataka and most specifically an encounter with the mighty tuskers, you know now where to be. People visit Kabini mostly for the plentiful wildlife and the lush greenery. 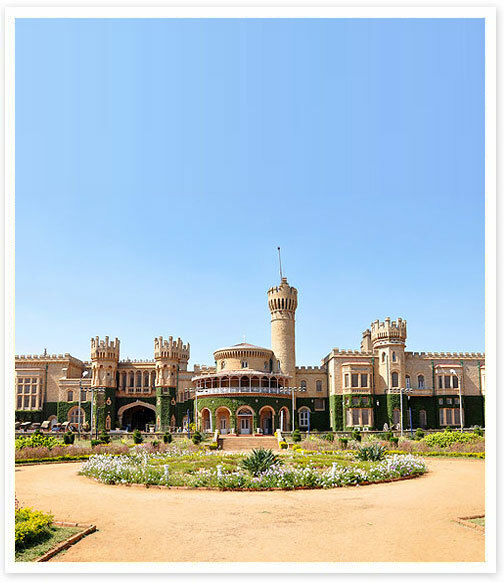 It used to be a much beloved hunting spot for the royal family of Mysore as well as the viceroys during the British regime. Today, it is home to a number of elephants and herds of them roaming around in the sanctuary offers for a great sight. Migratory birds visiting this place also offer for interesting sights for the guests. Besides the wildlife sanctuary, guests visiting Kabini could also go on excursions to the nearby destinations like Nagarhole. Located around the picturesque landscape of the Agastya Lake, Badami is a fondly frequented tourist destination in Karnataka. History mentions that it was the capital of the Chalukya kings that ruled over this land from fifth to seventh century AD. There is an interesting fable that goes about how this place came to be known as Vatapi-a name that it had in the ancient times. It is believed that in these lands lived two demons by the name Vatapi and Ilvala. They were very wicked and killed several mendicants by deception. Ilvala was blessed with a boon that whoever he calls would return even from the nether world. And it is of this feature that they took advantage to kill the innocent people. Vatapi would turn himself into a ram and its meat, Ilvala offered to the strangers. As soon as they would have it, Ilvala would call out for Vatapi and the latter would emerge ripping through the body of the victim. They succeeded in this pursuit till one day they came across Sage Agastya. The sage ate up Vatapi and quickly digested him even before Ilvala could call out for him thus putting an end to the torment of the demons. 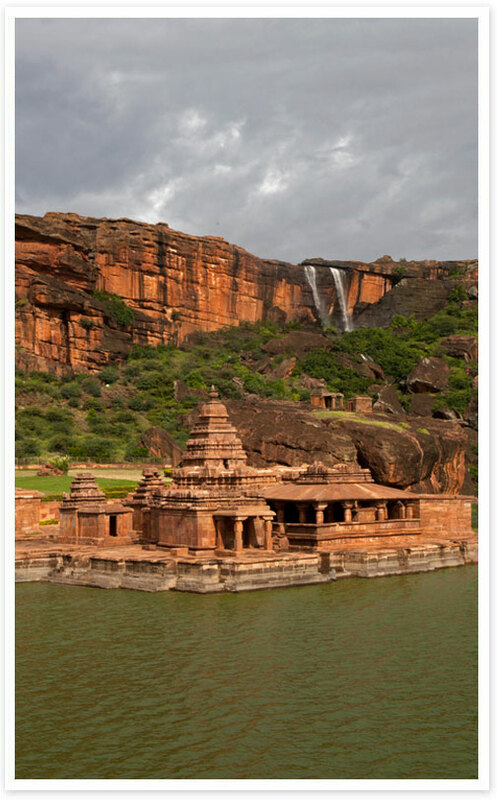 Badami offers to the visitors a blend of cave temples, forts and even museums for the tourists to come and feast on. The Bhutanatha temple, the Badami Fort, the Mallikarjuna temple and the temple of banashankari are a few to name in the order. The mesmerizing beauty of the place is beautifully reflected through the antique architectural patterns and designs. Goa is a land of the Sun, the beaches, the adventure activities and the quaint ambience and also of distinct traditions and customs. all in the same breath. 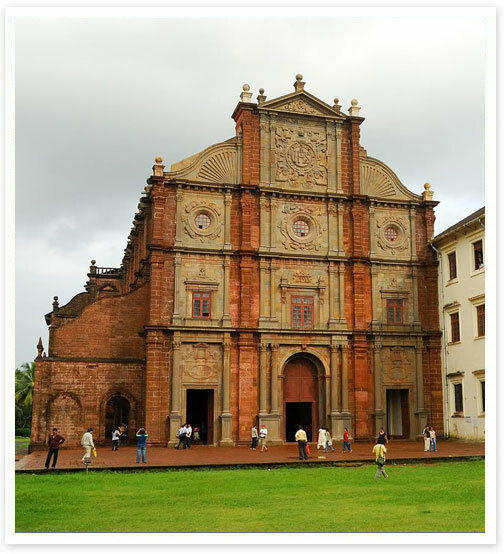 Guests visiting Goa quintessentially return back home wanting for more. The charisma and charm that accompanies the place almost casts a magic spell on anyone who comes to this place. Be it the history of the place or the geography, the language or the customs. Goa entices one and all. On a sojourn of this place, the traveler is treated to traditional Indian hospitality in the most unique way. The festivals and carnivals that are held here throughout the year offer one a better understanding of the lives of the Goans. Located in the Konkan region of India, its proximity to the Arabian Sea attracted many merchant communities to come and settle here, thus paving the way for several faiths and cultures to come and exist here. Chennai was earlier known as Madras and is the capital city of the south Indian state of Tamil Nadu. Nestled cozily on the Coromandel Coast, Chennai is one of the major metropolitan cities in the country that is home to several historical monuments, pristine beaches, ancient temples and luxury hotels. There are several spectacular fairs and festivals that are celebrated here in traditional fervor and guests in the city can very well participate in them to understand the essence of the place, better. Chennai is home to a large number of cultural centers, temples, historical monuments and also beaches. No wonder, the city is one of the most fondly frequented Indian and specifically south Indian destinations. 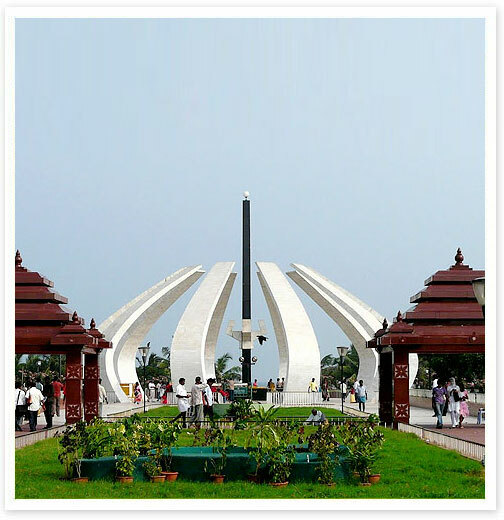 Topmost attractions that are worth a visit here include names such as Fort St. George, Freemasons Hall, War Memorials, Thousand Lights Mosques, Marina Beach, and Cove long Beach. 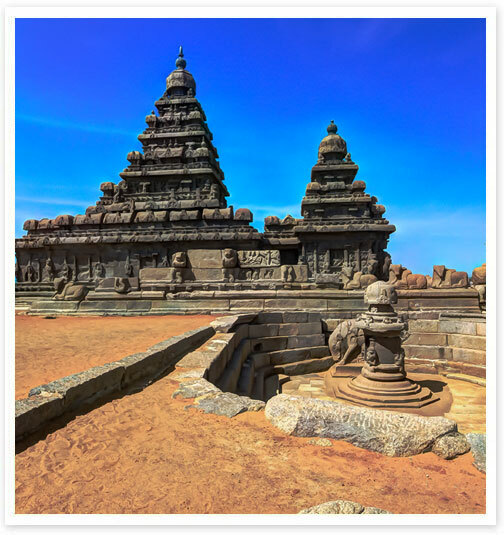 Traditionally known as Mahabalipuram, Mamallapuram is one of the most popular destinations in Tamil Nadu, renowned for its architectural wonders. Once a medieval port city (the town dates back to the 7th century), today, Mamallapuram is fondly visited by devotees and tourists alike who come here to worship in the ancient temples that are housed here. The city is located at a distance of just about 60 km from the capital city of the state, Tamil Nadu. Guests traveling to this south Indian town can savor on the spectacular man-made and natural wonders that are housed here. Top tourist attractions in Mamallapuram include names such as the Shore Temple, Five Rathas, Tiger's Cave, and Arjuna's Penance etc. besides the local attractions; this town is also a wonderful base from where a number of excursions to the nearby areas can be organized. This includes trips to Cove Long beach, Crocodile Banks, and Kanchipuram. Pondicherry is a quaint and serene town on the southern part of India, mostly known for its French connection. Abundant in natural and architectural beauty; Pondicherry houses pristine beaches, backwater areas, marvelous hotels and a chain of restaurants that serve authentic French and Indian cuisines that all the more enhance the pleasures of one's visit here. Pondicherry is a Union Territory of India and is very well connected to Bangalore and Chennai, two of the most significant south Indian destinations. Pondicherry is home to several attractions that include its mesmerizing sea side ambience, tree lined boulevards, medieval churches and a host of other locations that ensure interesting sightseeing trips. 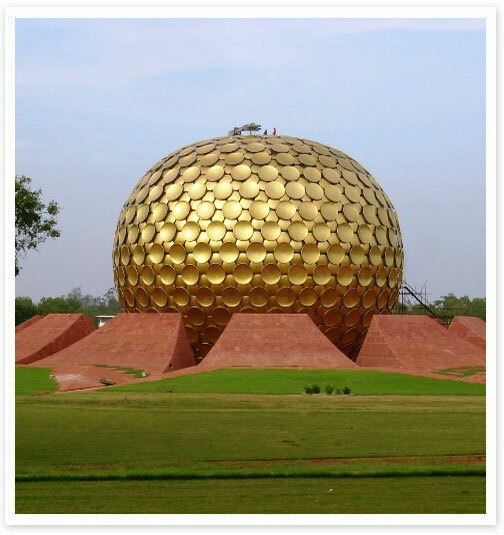 A few of the noteworthy locations that are not worth a miss include the Auroville Ashram, Aayi Mandapam, the French War Memorial, and the Romain Rolland Library. Tanjai, Tanjore. many names define the one marvelous Indian city - Thanjavur. Located in Tamil Nadu, Thanjavur is a grand destination that celebrates south Indian art and architecture in the highest magnitude of the terms. 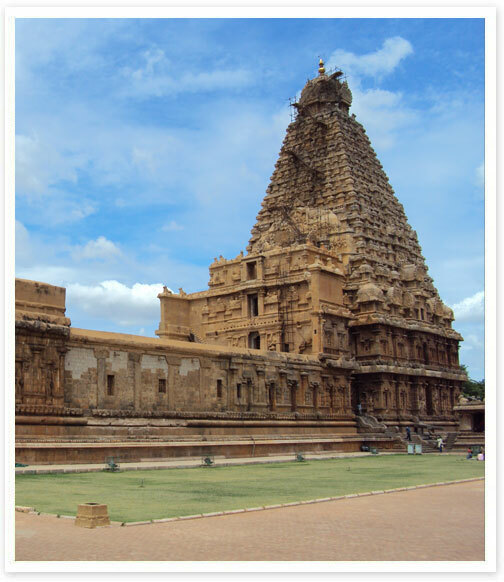 Owing to its architecturally extravagant monuments, Thanjavur is a not-to-be-missed destination in this circuit. Thanjavur is home to several eminent dancers, singers, and artists and this fact makes the city all the more special. Bronze metal products, musical instruments, and Thanjavur paintings are the most renowned elements associated with the place and excellent souvenirs to be carried back home. There are many places in this Tamil city that guests can visit. The shrine of Ganapati, the shrine of Chandeeswara, Thanjavur Palace, Thanjavur Church and the shrine of Sri Subramanya are a few of the most notable places of interest to name here. Each of these locations highlights the glorious history of the place and the architectural examples that they present are to be seen to be believed. Located on the banks of the Vaigai River, Madurai is one of the most significant pilgrimage destinations in India, especially for the Hindus. The grand Meenakshi temple is the lifeline of this quaint city and almost everything here revolves around the temple complex. Madurai is also known to be one of the ancient towns in the country that has been continually inhabited for several centuries. The prime element that one can feast on, in this city is its cultural heritage. Besides, numerous temples, several fairs and festivals, and a number of excursion options make the travel across this city, a joyride experience. 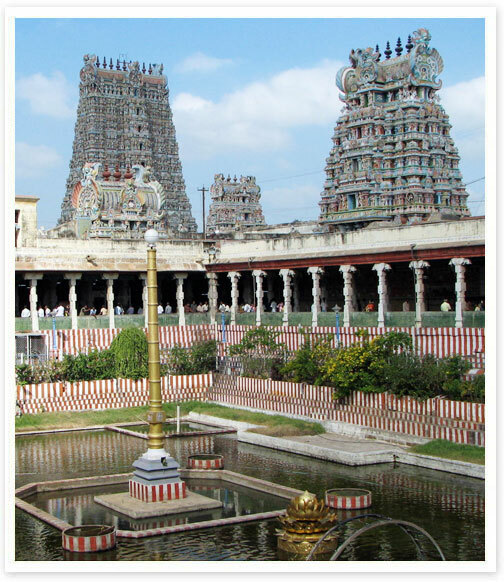 Meenakshi Sundareshwar Temple is the foremost tourist attraction housed within Madurai. Other than being a prominent religious site in town, it is also a famous landmark in the country. Tourist attractions that are worth a visit in this city include the Thirumalai Nayakar Mahal, Kazimar Big Mosque, Thiruparankundram, St. Mary's Cathedral Church, and the Gandhi Museum. Earlier known as Trivandrum, Thiruvananthapuram is the capital city of Kerala. A blend of low coastal hills and picturesque valleys define the geographical diversity of the city. Dotted with temples, art galleries, and museum; Thiruvananthapuram is a significant tourist destination in Kerala. The city has forever been a melting pot for merchants coming from the faraway lands such as the Portuguese, the Dutch, the English, the Arabs, and also traders coming in from the oriental nations. Today, Thiruvananthapuram is a contemporary world city that is blessed with several traditional and several modern elements. The spectacular city of Thiruvananthapuram houses in its midst a number of attractions that guests can visit in order to understand the essence of the place. Beaches, temples, and museums the city is replete with these and much more. Kuthiramalika Palace Museum, Varkala beach, Kovalam beach, Padmanabhapuram Palace, Padmanabha Swamy temple, and the Napier Museum are a few of the significant destinations that are worth a visit here. 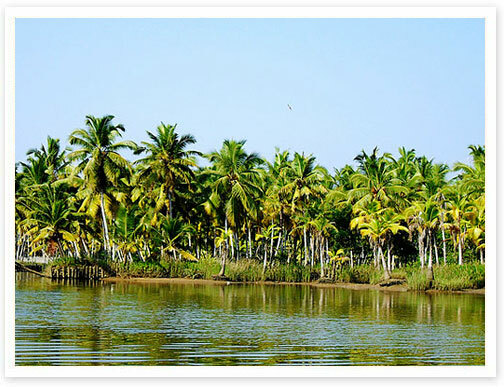 Poovar is an excellent beach destination nestled cozily very close to Thiruvananthapuram, the capital city of Kerala. It is a wonderful place to which all honeymoon couples and leisure guests travel to. Owing to its serenity and tranquility, the once fishing village is today one of the most fondly frequented tourist destinations in the state. While here, one may laze around in the beach, savor on the local delicacies, enjoy a leisurely walk across the rural countryside, and above all spend serene moments with loved ones or just in the company of nature. Located in the state of Kerala, Kochi is one of the popular holiday destinations in the Indian sub continent owing to its close proximity to the serene backwaters. This city was formerly known as Cochin and is primarily a wonderful base from where most excursions and sightseeing trips across the state of Kerala begin. 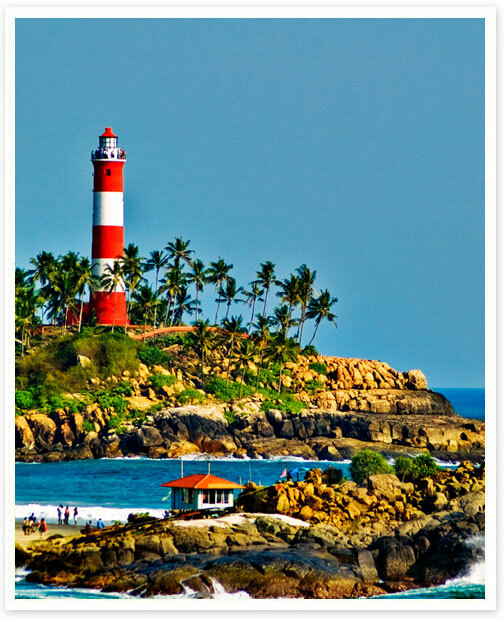 No wonder, it is referred to as the gateway to Kerala. 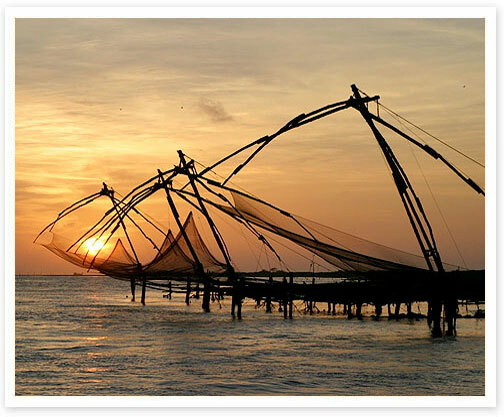 Chinese Fishing Nets, Fort Kochi Beach, Vasco House and Jewish Synagogue are a few of the popular destinations within Kochi that are not worth a miss. With its historical connection, Tiruchirapalli is one of the oldest cities in Tamil Nadu that is blessed with a rich cultural and architectural heritage. 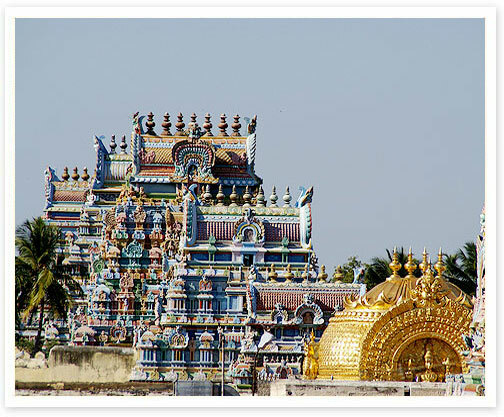 Tiruchirapalli is also commonly known as Trichy and flaunts a blend of traditional and modern values and essence. Its ancient forts and branded cigars make this quaint town, a popular destination in the country. The quintessential destination that all guests in the city head to is the Rock Fort temple. Sri Ranganathaswamy temple, Jambukeshwara temple, Perumal Malai and Vayalur Murugan temple are the other attractions that are housed here that surely need a mention. 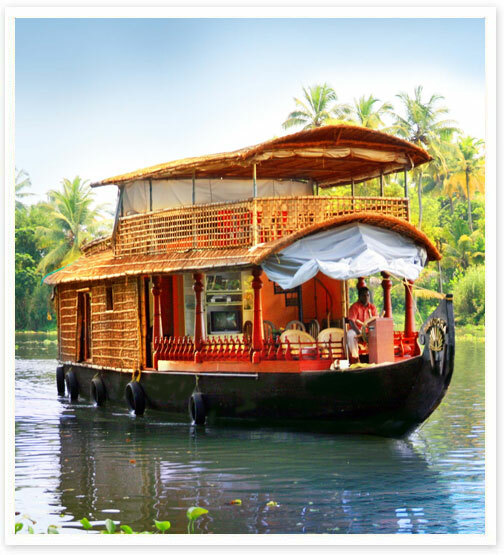 One of the most enchanting Indian lands is the Kerala backwaters. The tranquility and serenity of the place almost demarcates its non-existent boundaries making it a world on its own. Located in the Malabar Coast, the mesmerizing locations of the Kerala backwaters include areas such as Kollam, Alappuzha, Kumarakom, Kasargod, Kozhikode, and Kuttanad. Kerala Backwaters are also famous for their unique boat races that are an annual feature here. Besides the foreign guests who come here to be a spectator to these spectacular events, natives settled abroad also view these events as a wonderful pretext to visit home - relatives and friends. Vembanad Lake, Kumarakom wildlife sanctuary and the historic Thangasseri fort are a few of the most significant attractions housed in this region to be named. While in the Kerala Backwaters regions, do not miss to feast on coastal culinary delights that are peculiar to the region and known for their authentic spices and tastes.